Will Make Beats For Food : Apt. 5B Podcast Hosted by Kil: What's The Top 5 DOPEST Storytelling Rhymes?!?!?! Apt. 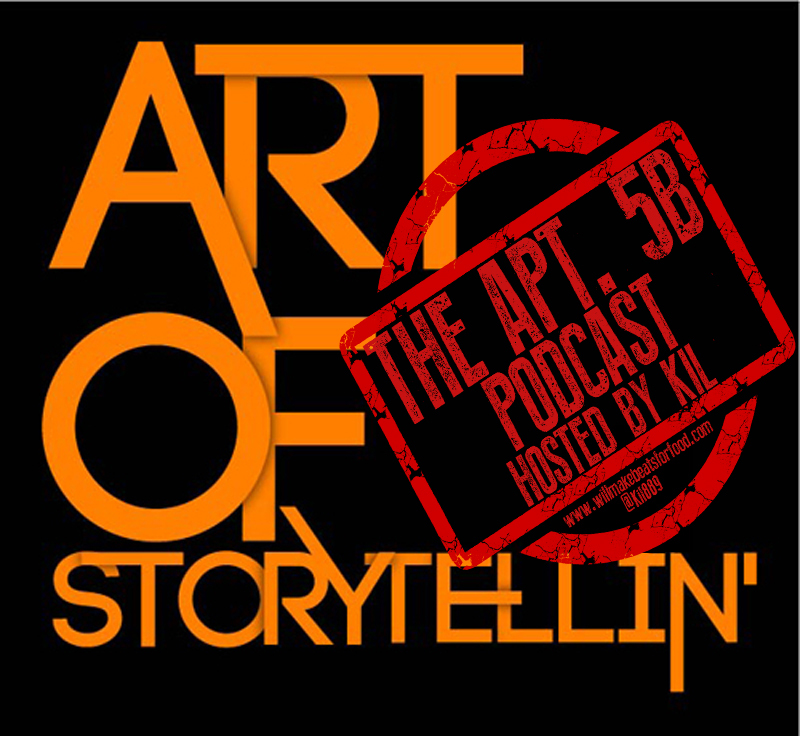 5B Podcast Hosted by Kil: What's The Top 5 DOPEST Storytelling Rhymes?!?!?! For this week's ep of my podcast Apt. 5B I've got a full house with Porsha, Ev, Vegas, Yinse, D, Yaw & DJ Wreck 1 about what's our top 5 dopest storytelling rhymes & why, why the person who at the end of the show that has the most songs listed never gets mentioned as one of the dopest storytellers, why the internet won't let me live & D & Ev try to convince me that I REALLY hate 9th Wonder. And not hate on him but actually hate him! Just ANOTHER dope ep ya'll and don't forget to subscribe to our You Tube Channel & Mixcloud page!